(RxWiki News) A glioma is a slow-growing brain tumor. The majority of people treated for this cancer live for many years after diagnosis, and their life expectancy may have just gotten better. Scientists have found a particular regimen for treating gliomas that was demonstrated to give patients many more years of life. Patients who received chemotherapy after radiation treatment for gliomas lived for an average of more than 13 years, compared to the nearly eight years of patients who received radiation therapy alone. 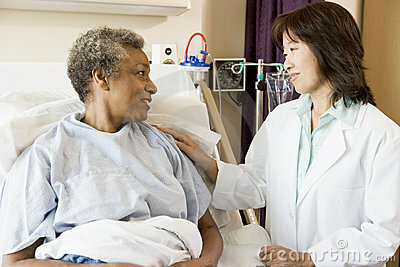 "Ask your doctor about the latest treatment options for your cancer." Jan Buckner, MD, professor of oncology at the Mayo Clinic in Rochester, Minnesota, was co-lead investigator of this study, along with Edward Shaw, MD, a radiation oncologist at Wake Forest School of Medicine in Winston-Salem, NC. The team announced long-term follow-up results from a clinical trial that compared the effectiveness of giving glioma patients chemotherapy following radiation treatment compared to radiotherapy alone. Gliomas are among the most common and the most treatable brain tumors. There are a number of different types of gliomas, all of which grow from the glial, a type of brain cell. Brain tumors are assigned a “grade” that describes how quickly the cancer is likely to grow. Low-grade tumors are slower growing than high-grade tumors. Dr. Buckner, Dr. Shaw and colleagues conducted the Radiation Therapy Oncology Group (RTOG) study, which involved 251 patients with low-grade gliomas. These patients, all of whom had received surgery to remove the tumor, were enrolled in the study between 1998 and 2002. These patients were considered high risk because of age (40 years and older) or because the surgery had not completely removed their tumor if they were under the age of 40. Participants were randomly assigned to receive either radiation therapy alone or radiotherapy followed by six cycles of a specific chemotherapy regimen. The so-called PCV chemotherapy included three medications: procarbazine; CCNU, which generically is known as lomustine; and vincristine. The brand name of procarbazine is Matulane, and vincristine is sold under the brand names Oncovin and Vincasar. The chemotherapy was given over 21 days and repeated every eight weeks for six cycles. After a median follow-up of almost 12 years, the study findings were very positive. Individuals who received the chemotherapy and radiation lived a median of 13.3 years, while those who received only radiation lived an average of 7.8 years. “The results of this study are practice-changing,” Dr. Buckner said in a statement. According to Dr. Buckner, additional analysis of patient tumors will allow clinicians to determine who will and will not benefit from the chemotherapy, "taking yet another step toward individualized therapy," he said. Just over 23,000 Americans will learn they have brain tumors this year, 10-15 percent of which will be gliomas. Findings from this research will be presented at a professional conference and pubished in a peer-reviewed journal later this year. This research was funded by the National Cancer Institute, part of the National Institutes of Health (NIH).